When My Mojo Leaves ……. 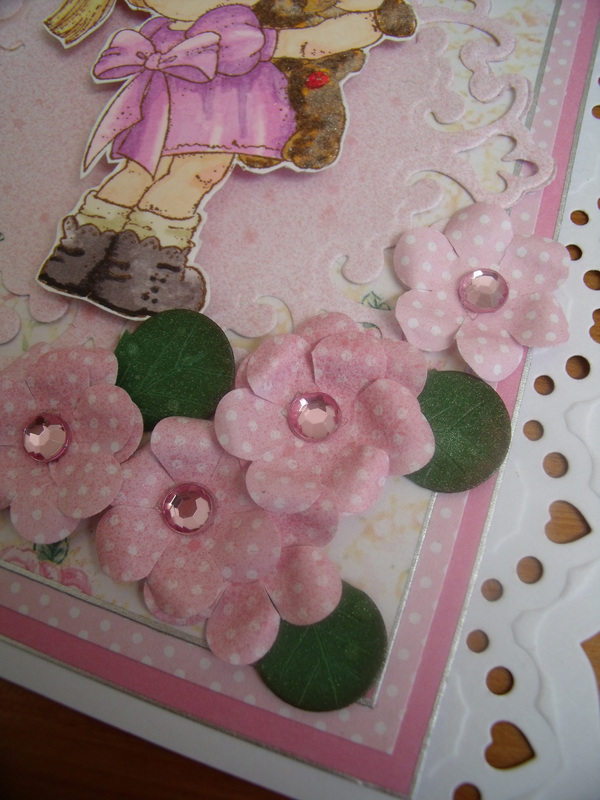 When I am wanting to create, but inspiration has packed her bags and left I either make cards or flowers! 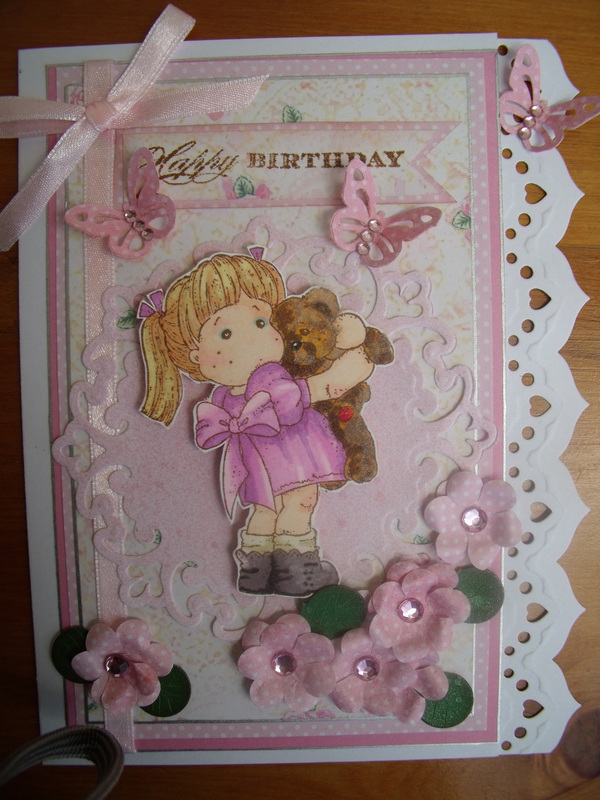 I can spend hours – days even – making cards and flowers! 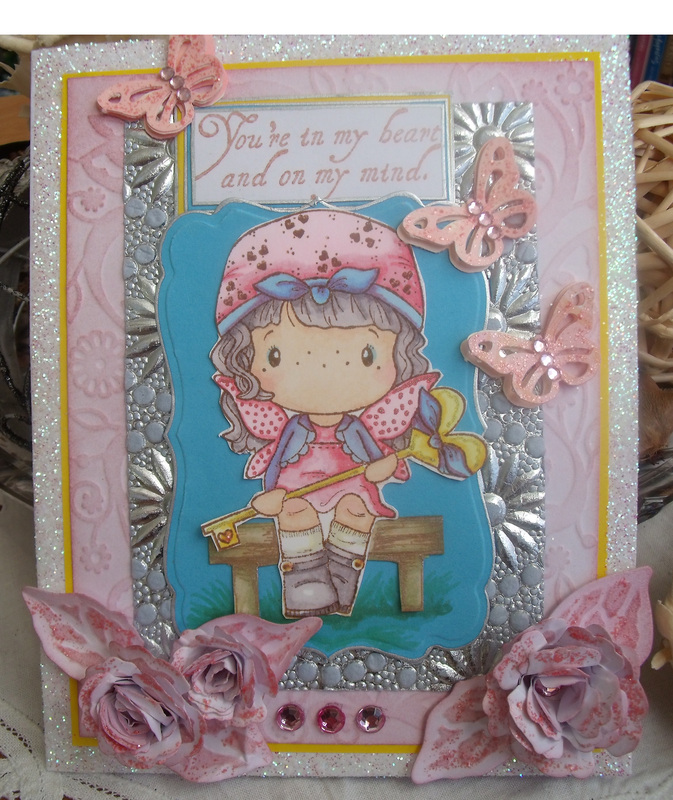 I play around with dies and stamps and try to put together something that is vaguely pleasing or pretty ……. ……….and other times it does! All these cards are heavily embellished and impossible to post in an envelope. I now have a large carton full of cards and other created items – we need to go to a market day and sell ’em off! I wish my mojo wouldn’t leave quite so often. 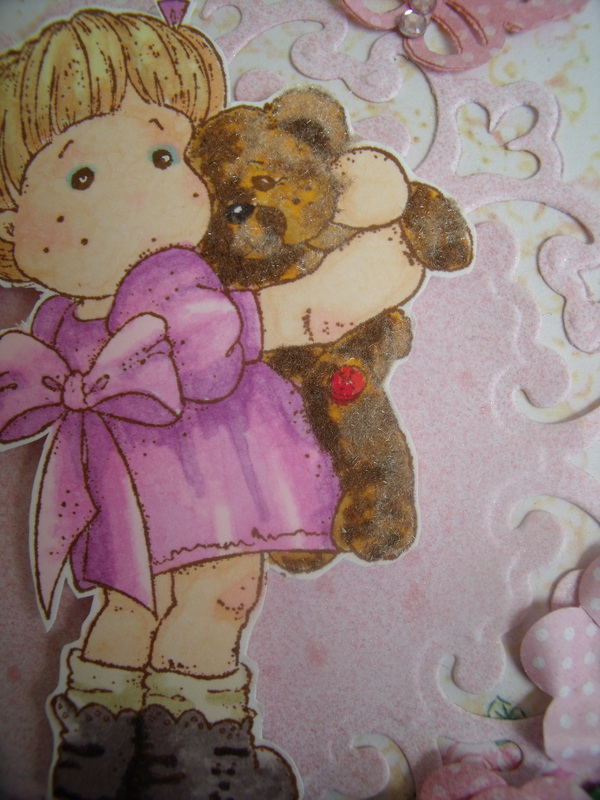 This entry was posted in Creations From My Craft Room and tagged cards, flocking, flowers, magnolia stamps, mojo, Paper Crafting, spectrum noir pens, Teddy bear by thecontentedcrafter. Bookmark the permalink. That owl card is really special. What you talking about ‘mostly misses’ Miss Pauline ma’am?! Those cards are Great! Beautiful! And Charming! And I admire the fact that you CAN create such pieces of art when your inspiration has left you. For most of us, it don’t even mek sense to ‘try’ anything once our inspiration is gone. Great Job ma’am, love them all! Well, you just made my day! Thank you!! I can relate. Sometimes I have a vision in my head, but can’t make it happen in the real world. Other times I find myself half way through something and hating it. Maybe we just need to be more forgiving of ourselves and realize that learning what we don’t like is just as valuable as what we do. 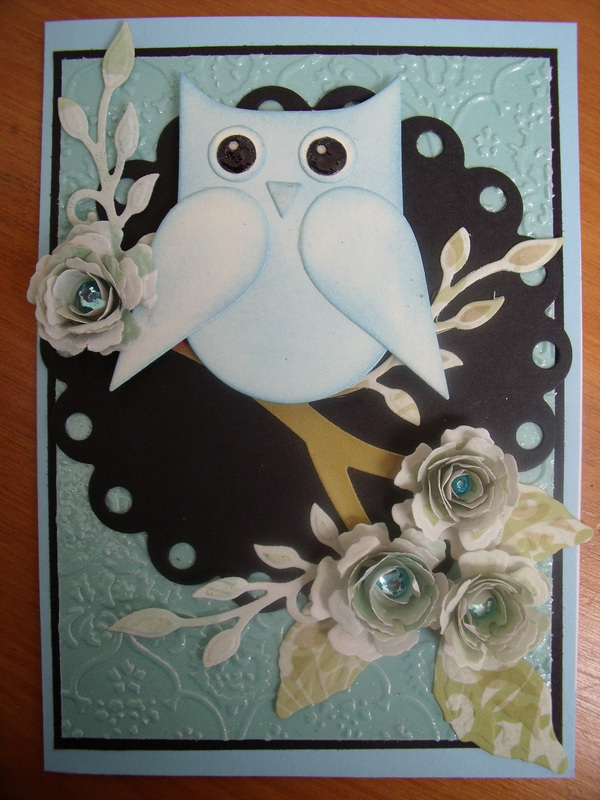 I think the owl card is adorable; a nice blend of colors and textures. Don’t stop creating, and more importantly, enjoy the ride. Nothing like a Virgo for self criticism! I am rarely happy with my creations, but find the creative process to be most satisfying! I think you are absolutely right in what you say – the learning is what is important…… and I totally know the vision in the head and not being able to bring it to life ….. thanks so much for dropping by! There you go! If you enjoy the process, then you’ve found the spirit of creativity. Further, I’ve found that others often love what we hate. I think at times we become so intimately involved with what we are doing that we lose all objectivity. I love all of them! What did you use to make the flowers on the first card? I admire your creativity. You’ve got a special talent. Thanks for sharing your creations with us. 🙂 So I take heart from your kind comments. 🙂 Getting back in action after a little vacation!